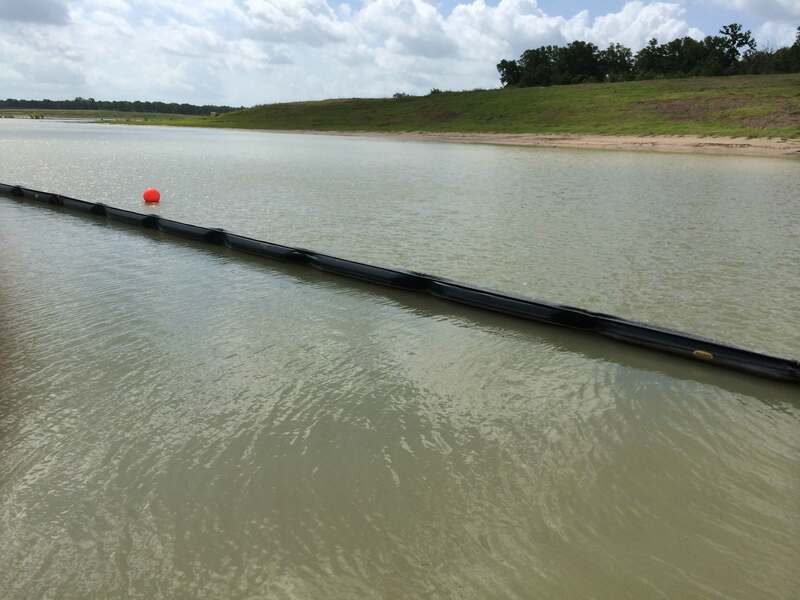 ABASCO Floating Curtain Baffles are ideal for increasing hydraulic retention time (HTR) by controlling flow and circulation in wastewater treating ponds to eliminate dead zones and improve treatment efficiency. Baffles including wastewater baffles and reservoir baffles, are used in industrial and municipal water treatment facilities and plants to improve water quality at the plant by increasing the effective treatment area and time. Floating baffles and water lagoon baffles are designed to create bio-separators using serpentine hydraulic flow patterns, so they’re constructed in durable fabrics and designed to your applications for treatment which will significantly reduce Biological Oxygen Demand (BOD) and Total Suspended Solids ((TSS). Floating curtain baffles are constructed with heavy duty tension members at the top and bottom of the curtain and UV/chemical/acid/base resistant 30 oz Elvaloy coated fabric. Without the floating baffle curtains, facilities and plants have short circuiting across the lagoon but the addition of the water baffles causes flow of water to be controlled and redirected. Ultimately, ABASCO floating baffles saves time and money treating the water at your facility or plant. ABASCO Baffles are ideal for controlling flow and circulation in wastewater treating ponds, to eliminate dead zones, increase detention time, and improve treatment efficiency. 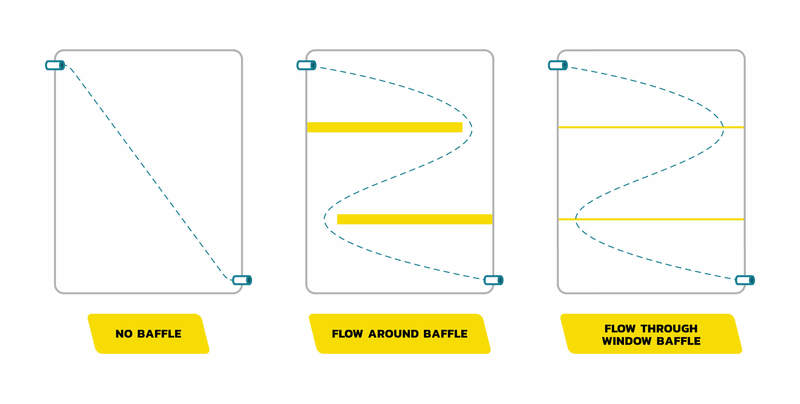 ABASCO Clearwell curtains offer increased retention time and eliminate short circuiting which improves the final disinfection treatment phase. The Clearwell baffles are easily installed, cost efficient option for an existing or new treatment plant. These baffle systems are custom designed using only stainless steel components supporting reinforced geomembrane panels for excellent strength and durability. Clearwell baffles are the most cost effective solution for increased retention time for improved water flow within a tank to optimize treatment process. ABASCO Tank Baffles offer a simple cost effective system for multi-staged treatment within an existing tank as an alternative to concrete or fiberglass baffle options. These are produced with stainless steel frames and use several options of reinforced fabric geomembrane panels which are easy to install and offer trouble free maintenance. 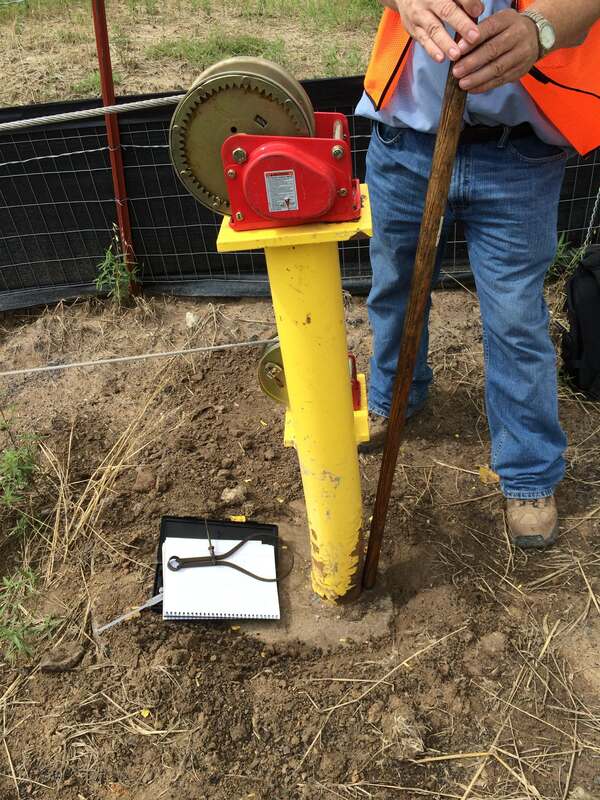 These systems are mechanically secured with the stainless steel components that allow secure anchoring and sealing capabilities between the tank’s walls and floor. These offer separate Mixing and Clarification Zones with vertical and horizontal flow options.